World Sight Day 2016 – Universal Eye Health is an annual day of awareness held on the second Thursday of October, to focus global attention on blindness and vision impairment. 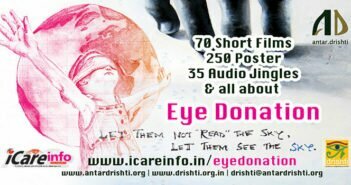 World Sight Day 2016 is on 13 October 2016. World Sight Day 2016 is the fourth year of the WHO Global Action Plan and IAPB encourages our members and partners to continue with our rolling theme: Universal Eye Health – cataract, glaucoma, diabetes, eye care management. On World Sight Day 2016, Lets work together to: Raise public awareness of blindness & vision impairment as major international public health issues. Influence Governments/Ministers of Health to participate in and designate funds for blindness prevention programmes. World Sight Day (WSD) is an international day of awareness, held annually on the second Thursday of October to focus attention on the global issue of avoidable blindness and visual impairment. This year World Sight Day falls on 13 October 2016. 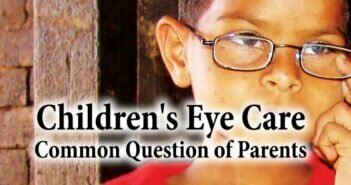 WSD is co-ordinated by the International Agency for the Prevention of Blindness (IAPB). WSD became an official IAPB event in the year 2000, and has been marked in many different ways in countries around the world each year since then. 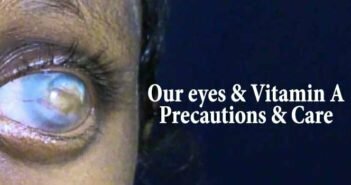 World Sight Day is the focal Advocacy and PR event for IAPB and its members and partners each year, highlighting the fact that 80% of blindness is avoidable (i.e. preventable and/or treatable) – 4 out of 5 people have avoidable visual impairment. WSD provides a platform for organisations to encourage governments, corporations, institutions and individuals to actively support global blindness prevention efforts. Previous ArticleDiabetic Retinopathy : What does Ayurved says?